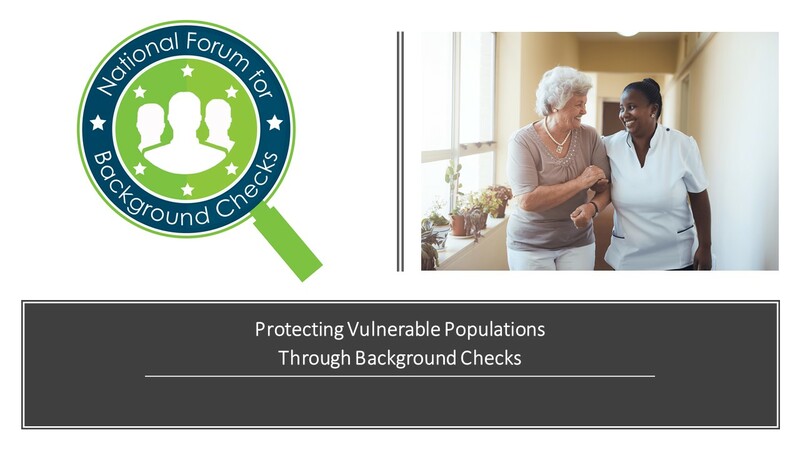 The National Forum for Background Checks (the Forum) is a state-run collaborative association whose mission is to improve public health and safety by advancing and supporting the adoption of robust background screening of care workers to protect vulnerable populations. Our members are agency representatives from current and former National Background Check Program (NBCP) participating States, many of whom have had success in implementing a robust screening program with the help of a CMS grant, as described in the Connecticut and Florida case study videos. Any State may participate in the Forum; information on how to register can be found in the Participation Guide. Leverage best practices with technical services contracts. To learn more, see our brochure and our ten identified initiatives. Participation in the forum is open to agencies from all States with an interest in screening programs to protect vulnerable populations. For more information, please email backgroundcheckforum@gmail.com.